Are you a patient trying to achieve pregnancy? Discover INVO. Learn about INVOcell™ and the INVO Procedure™. Find an INVOcell clinic or partner. We are a medical device company focused on creating simplified, lower cost treatments for patients diagnosed with infertility. INVOcell is a patented medical device used in the treatment of infertility that enables egg fertilization and early embryo development to take place in the woman’s body, in vivo. This revolutionary device promotes in vivo conception. It is an FDA cleared Intravaginal Culture (IVC) device that is a safe, effective and economical fertility treatment. Good Morning America. October 30, 2018. Bliss and Ashleigh Coulter, of Mountain Springs, Texas, found a way to both be part of the birth process for their son, Stetson. Morning News. KTLA 5. November 1, 2018. Nurse Alice is a national board certified Clinical Nurse Specialist and Emergency Room nurse with over 20 years of experience. 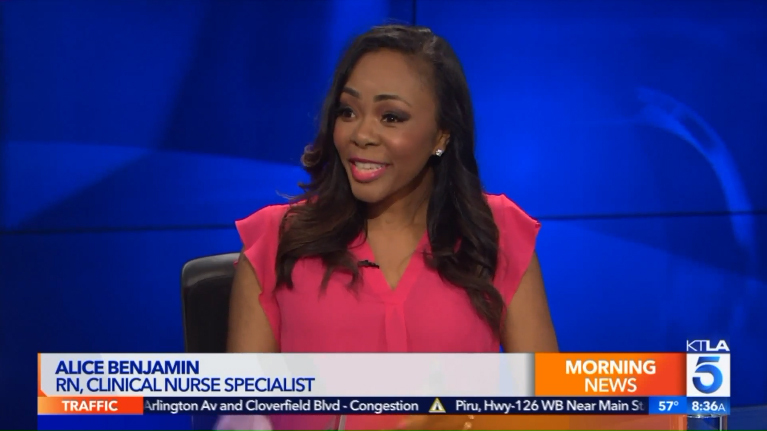 Know as America’s Favorite Nurse, she is a media health expert as seen on Dr. Oz, The Doctors, FOX, NBC, CNN, HLN, KTLA and more. We are so thankful that we were lead to pursue fertility at CARE. The INVOcell procedure was relatively simple and incredibly unique. It was amazing to carry the embryos rather than them developing in a lab… Click here to read Mike and Kelly’s story. My husband and I had been trying for a baby for over five years. After many tests left our infertility unexplained and three failed IUIs, we were given the opportunity to join the INVOcell trial at CARE. I was hesitant to go the trial route at first, fearing complications or disappointment if the success rates weren’t as high as traditional treatments, but several factors about INVOcell convinced us that it was a good match for us as our first shot at IVF: I liked that I’d be treated with the same fertility medications that traditional IVF patients received and in lower doses; all the research I could find indicated that INVOcell was experiencing similar success rates to traditional IVF without additional risk to patients or the children conceived and it has already been approved in several other countries; and, of course, it was considerably more affordable than traditional IVF… Click here to read Rebecca’s story. My husband and I struggled to conceive for a little over 4 years. During this time we carefully weighed our options to start our family. After prayer and planning we set up our appointment with CARE fertility. We were more than blessed to have the opportunity to be able to take part in the INVOcell study. In our minds INVOcell felt more comfortable and allowed us to feel more in control of having a baby. The time involved is far less than the average IVF treatment and for me allowed my husband and I to take less days off from work during the study. I felt I had some control of a situation that for years was far out of my control. INVOcell gave us our miracle and I would recommend it to anyone struggling with fertility. Thank you CARE fertility and INVOcell for allowing me the greatest miracle of being called a mom. I would like give a brief testimony about my experience with INVOcell. My husband and I have always had a hard time conceiving. We had our daughter 8 years ago, conceived naturally after 8 years of trying. We ran a gamut of test and always had normal results. So our infertility was unexplained. Once we became pregnant with our daughter we thought we would hopefully become easily pregnant again. Not so. After trying another 6 or so years we decided to seek help… Click here to read Gary And Macy’s story. Kathleen M. Hoeger, M.D., M.P.H. Dr. Charles Coddington III, M.D. Find an INVOcell provider or distributor near you.